So, what is this Gonner? It’s hard to give a straight answer, but we will try to. 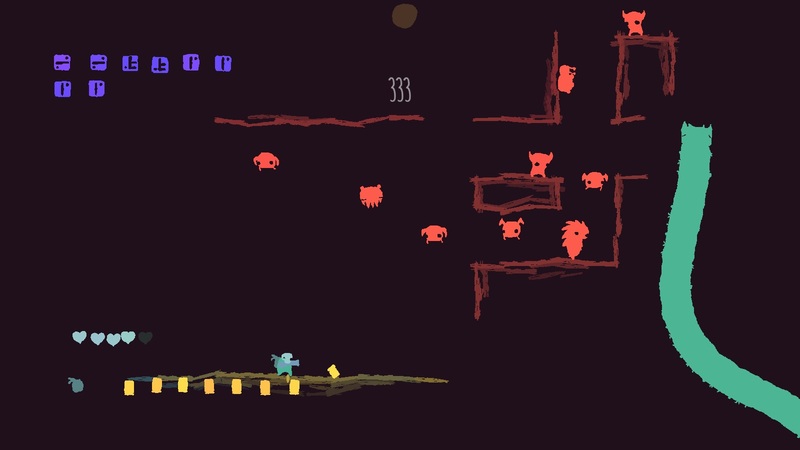 It really looks like Super Meat Boy, though with lesser speed and fewer deaths. The story takes us to hell or something like that, where “scaringly cute” little devils live, whom we will have to shoot (another difference with Super Meat Boy) trying to save our friend – a whale named Sally. And we are an unknown blue substance. The action takes place in 2D space. Except for little devils, IKK (that’s us) will shoot “Flying Headcrabs” “Floating heads, that look like those red heads from Doom” and “Hedgehogus Erectus”, and also some strange blue giant worms we use instead of elevators. Genre supposes us to die often, but the developers were original here too: each time we die, we get to Death (sorry about that). Here we can restock and get ready for another battle. Equipment is presented by three types: head, weapons and equipment itself. Head decides how many HP our protagonistwill have and how fast we move. Weapons can help us define a style of playing. Equipment will give us perks like ammo refill, round-explosion, constant shotgun shooting and so on. Quite useful in critical situations. 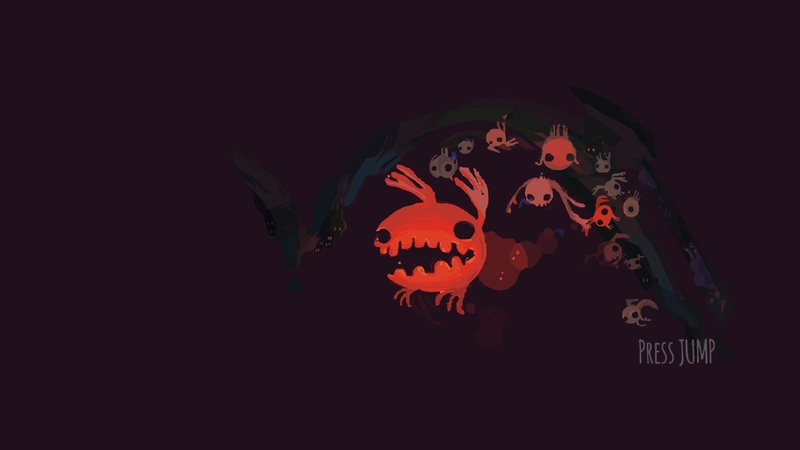 Enemies in Gonner give us 2 types of resources: ammo and purple runes. Runes fall out if the combo chain was of more than 5 hits and are used in two ways. First, we can resurrect ourselves. Second, before we face the level-boss, we get into a shop, where we can buy upgrades on these runes. The game has a peculiarity: texture details appear when the character moves. It’s as if every detail was being drawn by someones invisible hand. Considering procedure-generation in Gonner, there is a feeling, that it’s not a distant, abstract thing, but something, happening right before our eyes. Gonner is a beautiful game with style. The sound here reacts on combo meter. High difficulty level challenges and gives a reason to try anew.